Tip: Our guide for easy free Internet Access abroad – Do your dream! Whilst I fully accept being away means avoiding the usual internet emails and news, there are times when you need to access the Internet when abroad. Typically this is very simple to achieve through simple roaming contracts with a mobile broadband supplier, or indeed getting PAYG mobile broadband for your local country. However, I for one begrudge paying for Internet and of course roaming mobile broadband internet charges are extreme. So this is a quick guide on how I access the Internet, pretty much hassle free, pretty much anywhere. Please note though, I only need infrequent email checks and irregular surfing. If you need full on surfing 24×7 then my ideas herein will not be sufficient. Wifi: It has full wifi capabilities, and not only that, it is intelligent in its use of hotspots. For instance if you log into a hot spot called “FON_AP” – then it remembers all your credentials and will automatically log you on next time it sees one of the same name. In addition, the in-built wifi scanning connection tool is quick to refresh and very simple to “try” open networks for connectivity. Safari: It has a full web browser in the form of Safari – and this gives a pretty much full web experience. Really quite impressive – and okay, not perfect for every day surfing, but ideal for quick things. eMail: It has full email integration with a number of providers, we use googlemail, and the iPod integration uses offline caching meaning you can write emails to be sent later; or indeed get all your emails and read them later. Absolutely a dream to use for both reading and writing – more impressive than expected. OK the iPod touch takes some practice, but compared to other smart phones and similar devices – its easy and actually out performs expectations. It is discrete enough to have on/open whilst walking round town or anywhere you walk until the “open” wifi spot appears. Probably about 70% of open wifi links allow you to connect, and around 70% of these work and connect to the Internet… Simply scan…. click…. if connects open email…. sync…. done. Clearly if you scan a working spot in range of a cafe or parking place, then grab a cuppa and get the laptop out and connect to the same one! I’m amazed at how many people have BT Broadband but are unaware that they are permitted HotSpot access via the FON network… This included my Dad (tsk!) as well as a couple of travel mates. Nowadays, as far as I am aware, BT gives “unlimited wifi” when you use their broadband. For contracts pre March 2009 you need to activate it (free) but post March 2009 it should be enabled by default. 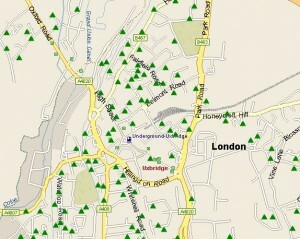 Fon.com have maps showing locations of wifi, and there are sites that have all the data on. 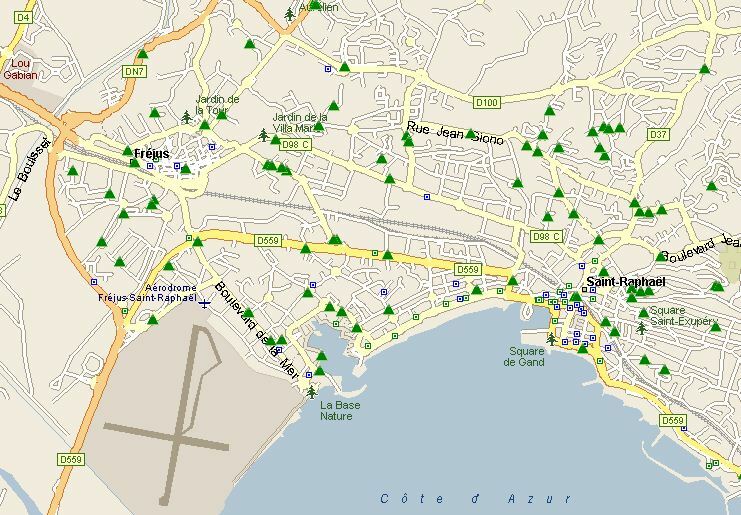 I’ve got an Autoroute 2010 file with 650,000+ hotspots on for offline use which makes life a lot easier. If you have BT Broadband, please google “bt fon” “fon map” etc for full details. We’ve reviewed the Kindle 3G here – and for book reading its great, but for Internet access its also superb as all Internet over 3G is currently free anywhere. Whilst it isn’t a perfect solution for internet access, it is sufficient for the basics and will suffice for basic email and internet use. For backpacking it will be essential! In conjunction with the GPS locations, you can use the long range aerial above and simply sit outside making your own brew and borrowing their wifi. Normally quite good links though they don’t allow “all things” to work, but eMail and web should always be okay. Thats my collection – my Windows smart-phone seems to be retired now – the iPod touch if far superior for this purpose. And quite simply, when I’ve needed to I’ve been able to get Internet access for no cost. Hope this is useful to someone! So far I have been able to check email multiple times daily quite easily. Sad I know but I’m finishing off a project that means I have to be on email…. We do walk/cycle around a lot which means we do cover lots of areas as we like exploring both town centres and other parts of towns. 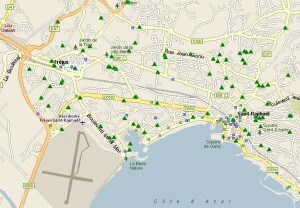 If you don’t walk very far then the chances of finding a free hotspot is proportionally reduced. This is just how I do it, it may or not be good for you. Using non-hotspot unsecured wifi connections may be illegal but you need to check. I believe if someone has left wifi unsecure then its because they want to help lowly travellers like me (thanks). You should satisfy yourself with the law of the country you are in before following my tips! UK has plenty of hotspots, even in town centres, cafes, pubs and even McDonalds offer free wifi so you can either stand outside and be quick or pop in, have a drink and take longer. Using the BT Openzone hotspots opens up huge other areas both in towns and almost all residential areas. Probably the easiest country for obtaining wifi access. France, Holland, Belgium are all okay, McDonalds is generally good. Reasonable amounts of FON hotspots in France and Holland though not many in Belgium. Germany is fairly tough as their laws state people must have secured wifi. As such even cafes tend not to have free wifi. That said, I have been able to easily find open wifi every day using the iPod touch as well as the fairly infrequent FON spots. McDonands is fine but you generally need to buy something to get a code valid for an hour. Just found this link to the aerial so ignore last e-mail request. Will look into it. Many thanks. In Germany I’m using a 3G dongle from T-Mobile. It’s not too expensive; €5 per day for just under 2Mbit/s with HSDPA. Faster than most wi-fi spots and definitely cheaper than paying for BT international roaming wi-fi if you’re not a BT broadband customer. The only caveat is that there’s a 3GB traffic cap per day, which is quite easily used up at HSDPA speeds. Pingback: Wi-Fi from Satellite Dish - Is it possible? Pingback: Europe WiFi POI's ?